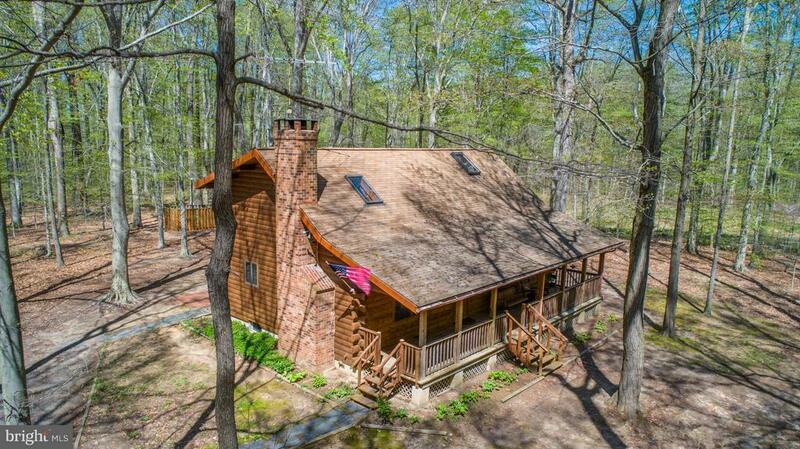 Beautiful log cabin w/ barn on 44 Acres. Enjoy peace & privacy while surrounded by mature forest. Keep horses & livestock. Charming home w/ space for 3rd. bedroom. Loft area overlooks main living space. Big kitchen leads to deck. Master Bedroom w/ attached bath. Wood stove insert. Large front porch. Tree lined entrance. Full basement. Enjoy privacy and acreage with easy access to 301 east or west.